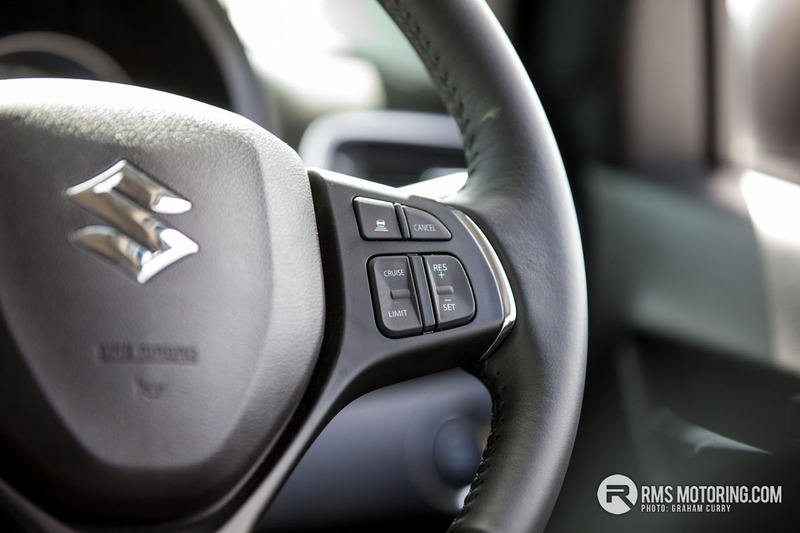 The Suzuki Baleno is a car that many will have heard of from years gone by, in fact some time ago when I started driving, the Baleno model was quite popular with those who wanted an affordable, reasonably easy to insure, good looking warm hatch with the kind of reliability only Japanese cars could provide back then. Many young drivers would have added a set of larger alloy wheels, lowered their Baleno to aid handling as well as looks and to be fair I always thought they looked fabulous in three door hatch guise when styled right post factory. 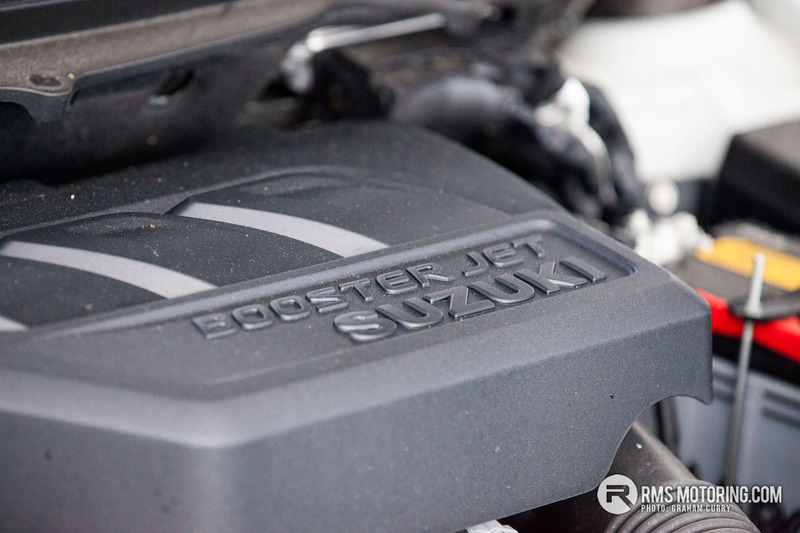 Back then the model to go for was the GSR with its refreshingly punchy 1800cc petrol engine. A small hatchback that was rather practical and suited the needs of many owners, it even came in a rather horrific looking saloon version that proved not just as popular. So roll forward 20 years from the Baleno was last popular and what do we have? 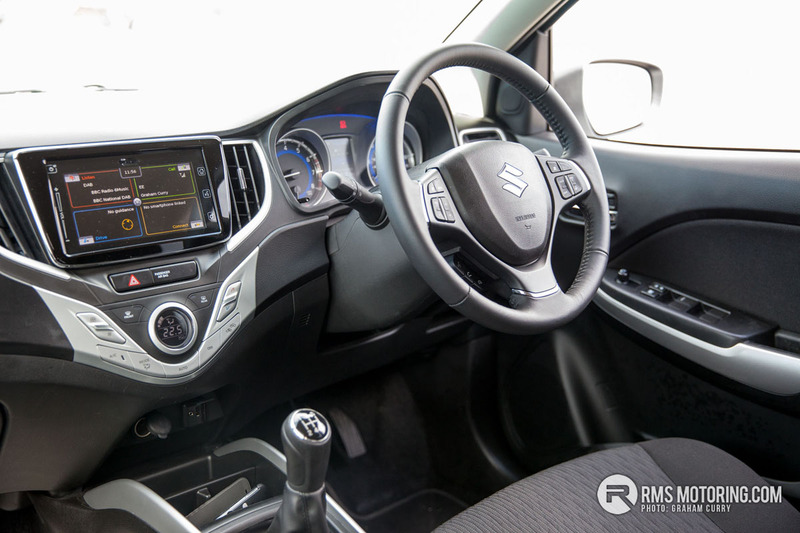 An all new Baleno from Suzuki that has very little resemblance to its version of old, yet still holds a lot of the charm and ethics of its predecessor. 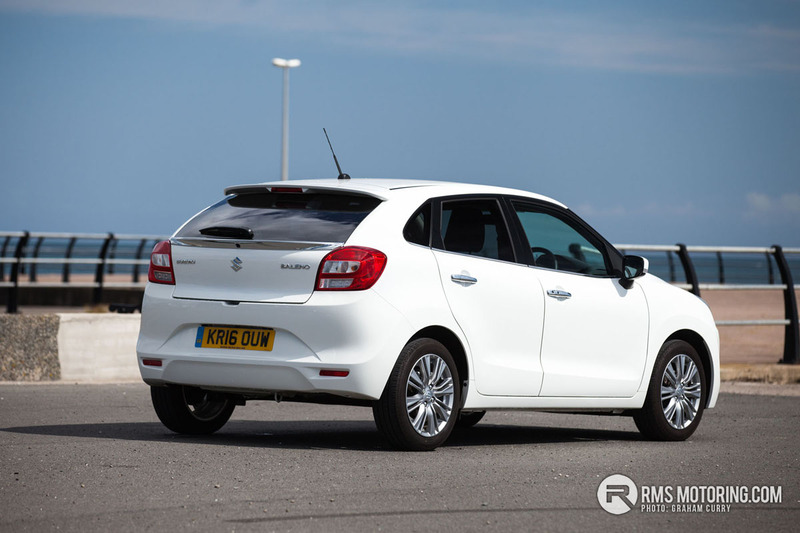 It’s a small car (but not city car small), it is a hatchback however there is no three door model available as the new Baleno is only available as five door. It is a much softer styled, more practical and much more grown up looking car, still a good looking car, however it may not appeal to the younger generation just like the previous model did. This model tested is an SZ5 model which being the top model, is naturally packed with tech – however even the entry SZ3 is well loaded with everything you need. Around the front the headlights house LED daytime running lamps with fog lamps sitting in the bumper below, 16 inch alloy wheels are fitted as standard with chrome door handles flowing up into the black door and windscreen pillars which compliments the rear privacy glass well. Around the rear and the tailgate not only gets a colour coded spoiler at the top, but at the bottom of the windscreen a chrome spoiler also. Inside the boot and the load space is ample for a small car, perfect for a week’s shopping for many or a small family of primary/teenage age. Inside the new Baleno is surprisingly spacious with fantastic room for rear passengers also. The dark cloth seats would benefit from more bolster support but as usual this is a personal thing to me as I am used to sports seats and their hugging ability. Keyless entry means a start/stop button on the dash whilst comfort is aided with electric front and rear windows, automatic air conditioning silver detailing around the dash. Driving comfort is helped via adaptive cruise control and radar brake support with brake assist and HID projector headlamps light the way in all weathers. Infotainment is more than expected from the entry model with a large touch screen in the dash, which at my comfortable driving position I found awkward to reach. Nonetheless it offers great connectivity via USB and aux input as well as Bluetooth, DAB radio, sat nav and a phone link app based phone connection system. Two engine are on offer, a 1200cc petrol with 6 speed gearbox as well as a 1000cc 3 cylinder turbocharged “boosterjet” petrol engine which is available with either auto or manual gearbox options. This mode tested comes with the boosterjet accompanied to the manual ‘box. Now many will think, “one litre” and “that’ll be gutless” and indeed I used to think the same myself until I started to drive such cars with small charged engines and I soon realised they offer every bit as much get up and go as a 1600cc petrol and some of them would put many larger no turbocharged petrol cars to complete shame. On that basis go and get a drive in one and see for yourself as this Suzuki boosterjet, as written on my notepad from having the car “goes rightly!”, note the annotation after the words, it was put there to make a statement. With just shy of 110bhp it may not sound like much but in this small car it is plenty and with a healthy 125lb/ft of torque will get you from 0-62mph in just over 11 seconds. It is never going to set any speed records but around town, on meandering Irish roads and on the motorway I could honestly live with it no problem especially with a combined economy of around 60mpg during the week I tested the car. Annual road tax comes in at a mere £20 with pricing starting at a quid less than £14k for the all new Baleno. 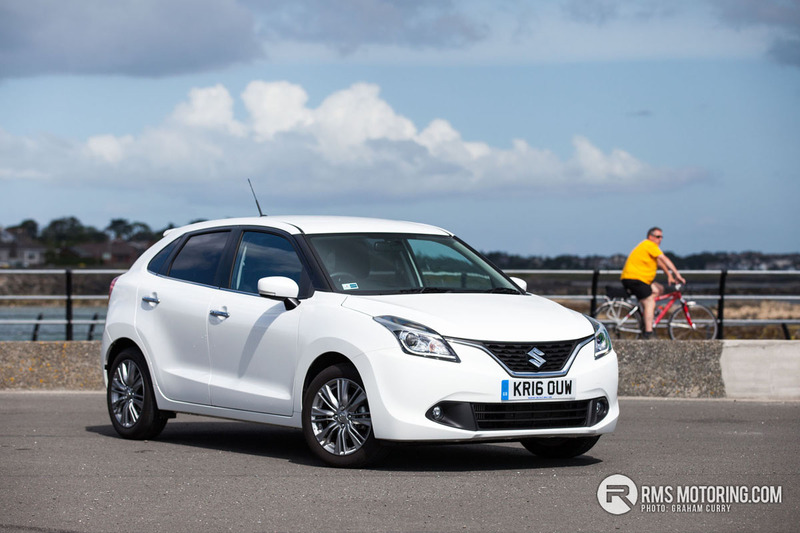 SuOverall the Baleno is a surprising little package that provides pretty much everything, on a budget and with Suzuki’s reputation behind it. Most certainly an option worth testing if you’re in the market for a small car but don’t fancy the likes of Ford’s Fiesta, Honda’s Jazz or Peugeot’s 208 then this could be the car for you. Oh wow, that is hideous. Is that a chrome boot spoiler?! Very popular here in India where Suzuki have 55% of the car market. One of the better looking ones here. Still pants. I don't think any young drivers are going to be adding a set of larger wheels to that thing. Hideous almost comical looking thing. I want a booster jet. The original one came with 3 years free insurance for anyone over 18 and was a 1.6 16v. That made it very popular. I had a blue one of the original version dropped on 17" CEC 129's. Car care centre in Lisburn used a picture of it in one of their adverts and I thought it was the dogs balls back then. Was a reliable wee motor though. Can still remember the reg. ALZ1013. You know when people say your job must be awesome, getting to drive all those amazing cars and getting paid for it. You always think ha they don't know the half of it Show them that car and they won't hate on you anymore lol what a disgusting car. Commiserations @Graham having to drive that horrid thing.